The FLiP Files is a blog series spotlighting young professionals who are active in PLASTICS' Future Leaders in Plastics (FLiP), a group for plastics professionals under the age of 40. For this FLiP File, we spoke to Will Shruling, supplier relations coordinator at Lintech International LLC. Since 1983, Lintech International LLC has been a leading specialty chemical distributor of resins, monomers, additives, pigments and performance minerals that partners with world-class suppliers to meet the needs of customers in a wide variety of markets. -How did you find yourself working in the plastics industry? Growing up in the Kaolin Capital of the World (Sandersville, GA) where kaolin, a silicate mineral known locally as “white gold” is mined, I have always been influenced by the mining industry. I had a passion and curiosity for all aspects of the industry and the many products that are influenced by and depend upon it. I accepted a job at Lintech that allowed me to utilize my hometown experiences in kaolin while allowing for diversification and growth in the new areas of fillers, additives and pigments. The more I have learned while engaging with peers and experts in the plastics industry, the more I want to know. -Has anyone in the industry mentored you? I am fortunate enough to work for a company that has an extremely knowledgeable sales staff in many different aspects. It is through their mentorship that I have accumulated my knowledge of the plastics industry. -Describe in one sentence what you do on an average day. On an average day, I make product recommendations, communicate with our suppliers and help make sure our customers are given the highest level of customer support. -What do you like most about working in the plastics industry? Plastics are all around us in our daily lives. It really is amazing to see how the end-use products materialize in our world. -What’s one thing about your personal life that you feel has been changed by having a career in plastics? One aspect of my life that has changed is a better understanding of recycled material. Recycled PET is such an amazing product and seeing its many uses has pushed me to be more conscious of recycling material. -What are the major challenges you think are facing the plastics industry today? How do you think the industry can overcome them? I believe the two largest challenges facing the plastics industry are the increase in raw material cost and the push for environmentally friendly products. The industry can overcome the increasing cost of raw materials through partnering with strategic suppliers to buy an array of products versus single sourcing products from different locations. The industry has made great strides with recycled plastics but has a long way to go. One of the key industries that I believe will continue to grow is recycled PET products. -Why do you think someone from your generation should consider a career in plastics? The plastics industry is constantly growing and allowing for many lucrative positions. These positions range drastically from engineers working to create better fuel economy with lighter cars to sales representatives who help customers switch to greener packaging goods. To quote Mr. McGuire from The Graduate (1967) “I just want to say one word to you. Just one word. ‘Plastics’”. 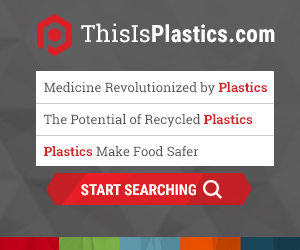 -What’s one plastic product you couldn’t live without? I couldn't live without my toothbrush. December 12, 2018 For this FLiP File, we spoke to Kristina Corona, sales project coordinator at ENTEK, a company that manufacturers extruders –the machinery used to make plastic pellets and sheets that are eventually transformed into new plastic products. October 23, 2018 The FLiP Files is a blog series spotlighting young professionals who are active in PLASTICS' Future Leaders in Plastics (FLiP), a group for plastics professionals under the age of 40. For this FLiP File, we spoke to Tom McGwire, product manager at Industrial Heater Corp. The company is most widely-known for – you guessed it – industrial heaters! The heaters are used for applications ranging from extrusion to perfume manufacturing and nuclear waste disposal. Read on to learn more about what makes Tom excited about the industry. October 16, 2018 The FLiP Files is a blog series spotlighting young professionals who are active in PLASTICS' Future Leaders in Plastics (FLiP), a group for plastics professionals under the age of 40. For this FLiP File, we spoke to Stephen – Steve – Kutys, sales engineer at Maguire Products in Aston, PA. The company designs and manufactures auxiliary equipment for the plastics industry – think: blender, feeder, dryer, etc. Basically, anything that prepares the materials before they’re processed.